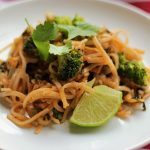 Tofu Pad Thai is my ultimate comfort food. Noodles and crispy tofu and lots and lots of cilantro. Cilantro is also my comfort food. There is never enough. I know there’s lots of haters out there, but you may have a legit excuse. Genes. If cilantro tastes like soap to you, you may carry a gene that makes it taste that way. It’s not your fault, but still…tough lot in life there. Sorry about that. But I digress…back to my other love song, Pad Thai. Pad Thai, how I love you. How I swoon with each tasty bite. I don’t eat tofu a lot because the jury is still out about whether it is actually good for you. But I love it, so like all great things, I eat it in moderation. Shiitake mushrooms are a great substitute for the tofu if you’re not into the whole soy thing. Shiitake mushrooms are equally as good. But there is one problem with Tofu Pad Thai night at our house. My kids. Not surprisingly, they hate it (because they claim to hate vegetables and pretty much everything else I cook). Dinner time has been a struggle for our family. It has brought me close to tears many nights for fear that my children will become malnutritioned and whither away before my eyes. After many iterations of ways to make dinner bearable, I finally came up with something that sort of works. Here is the way I get my kids to eat their vegetables: Dinner Deconstructed. Dinner always goes over a little better when I do it this way, and I do it often. Plus, deconstructed food is pretty trendy right now, so look at me! My girls will actually try vegetables, noodles and sauces if they can try them all separately, and not all mixed together like a heathen would do. I, being the heathen. I’m getting this deconstructed dinner thing down, and can usually get them to try at least half the food on their plate. The rest of their dinner is supplemented by PB & J most nights, but it’s progress. So, now we’ve got dinner with a lot less whining, and kids eating vegetables without withering away. Huge vegetarian mama smile over here. So, there is the saga of my comfort food, Pad Thai. Whether it’s made with tofu, shiitake mushrooms, or completely deconstructed, it’s darn delicious. If you have any other tips to get your kids to eat vegetables or try new things, let me know in the comments below. We need all the help we can get over here! 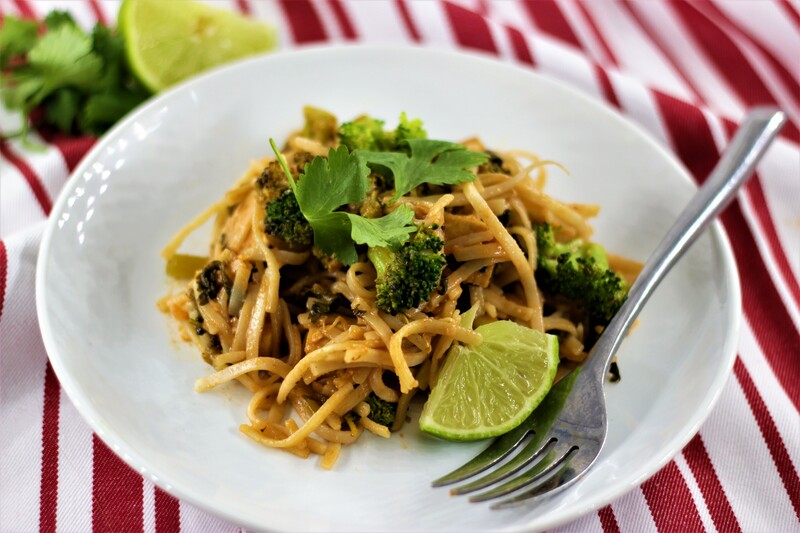 Flavorful vegan Tofu Pad Thai with broccoli, bean sprouts and lots and lots of cilantro. See recipe notes for soy and nut-free recipe substitutions. Make the sauce: Whisk all sauce ingredients together, whisking until it is as smooth as possible. Some of the miso may not fully dissolve, but that's ok. Set aside. Make everything else: Make the rice noodles according to package directions. Rinse and set aside. Heat a cast iron skillet over high heat and add 2 tablespoons of the olive oil. When the oil is shimmering, add the tofu and sprinkle with salt. Cook until golden brown on one side, then flip. Continue cooking until most sides of the tofu are golden brown and slightly crispy, about 10 minutes. Remove the tofu from the pan and onto a plate. Wipe out the pan with a paper towel, add the other 2 tablespoons of olive oil and cook over high heat until shimmering. Add the broccoli florets and cover, stirring every minute, until broccoli is tender and charred in some places, about 6-8 minutes. Remove the lid and add the garlic, green onions and cilantro and cook for about one minute, until garlic is fragrant and the cilantro is starting to wilt. Now, add the sauce and cook for about 1 minute until bubbling and starting to thicken slightly. Add the tofu back to the pan along with the rice noodles and toss to coat with the sauce. Add the bean sprouts and cook until just heated through. Serve topped with chopped peanuts, a lime wedge and more cilantro. 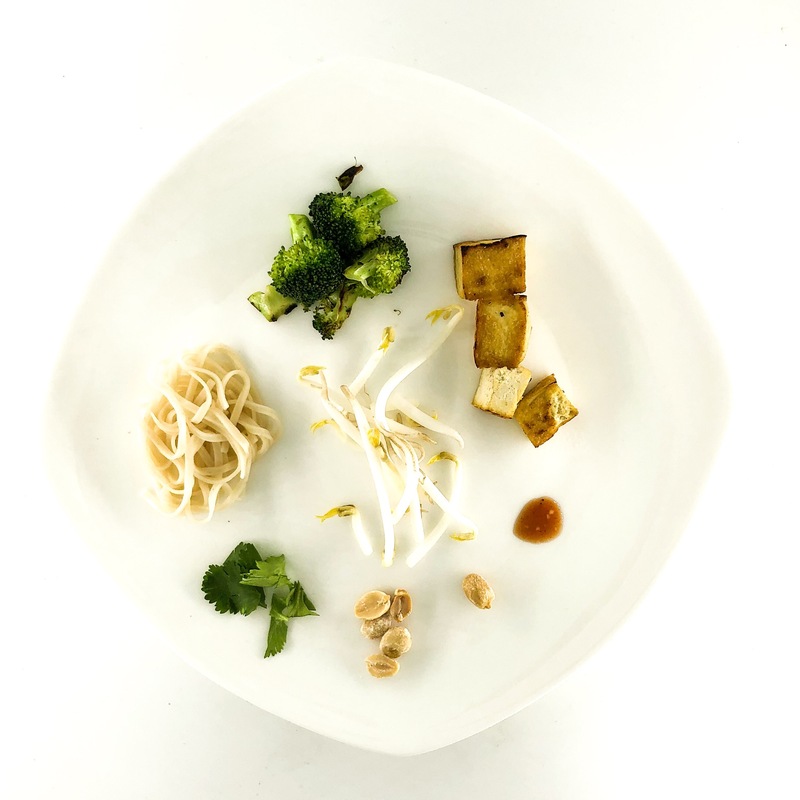 Substitutions: To make the recipe soy free, substitute the same amount of sliced shiitake mushrooms for the tofu, coconut aminos for the tamari, and brown rice miso for the soy miso. To make the recipe nut-free, omit the peanuts or substitute salted sunflower seeds for the peanuts. Thank you for this! 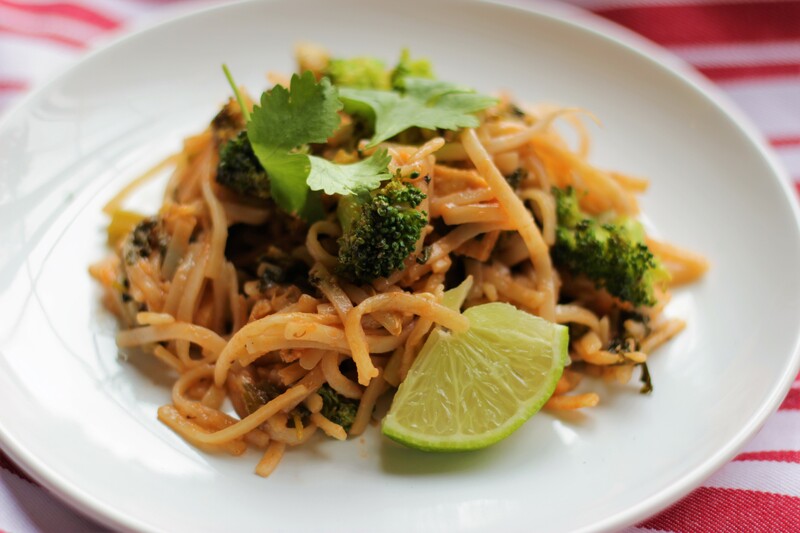 I love pad thai, and will make this. So happy to hear this Susan! Pad Thai is so scrumptious!